Scarring is an unfortunate part of all surgical procedures. 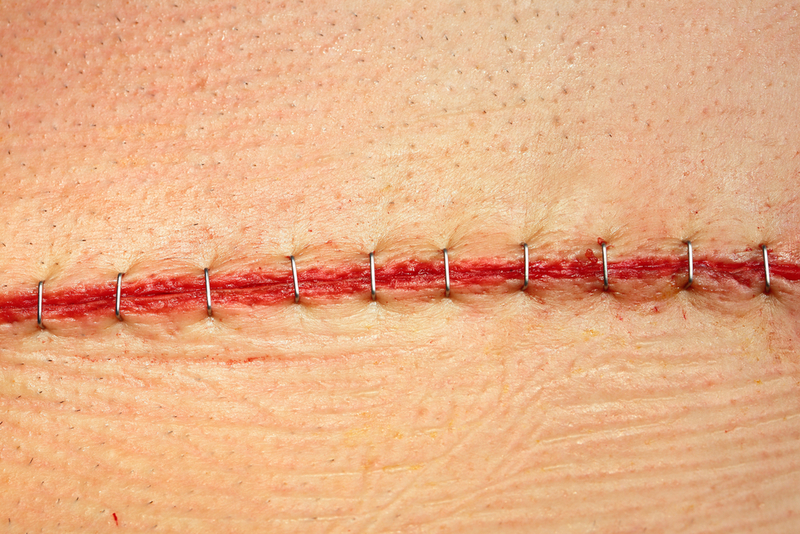 No matter how careful or skilled a surgeon is, there is no way to completely prevent the formation of post-surgical scars. And while you cannot erase scars, there are steps you can take to minimize their appearance. Surgical scars will look worse before they start to look better. Following your procedure, your scars will be red, raw, and maybe even raised. This is entirely normal and not something that you need to be overly concerned about. The best thing you can do for your scars during this time is to let them heal on their own. The worst thing to do is strain the area, whether it be the abdomen after tummy tuck surgery or the breasts after breast augmentation, too hard too soon. Any extra pressure or tension on the skin around the incision will worsen the final appearance of the scar. You want your skin to be as relaxed as possible while your body is working to heal itself. Compression garments play many roles in your recovery. First off, they help to promote blood circulation to speed your recovery and help prevent the formation of blood clots, which can be dangerous or even fatal. Secondly, compression garments help with scarring. They do this by applying constant pressure to the wound that will allow the incision to heal more evenly. Protein, fiber, and vitamin-rich foods, as well as proper hydration, all benefit your recovery, including the appearance of your scars. Foods that are high in these nutrients promote cell regeneration, reduce swelling and inflammation, and minimize the brightness of surgical scars. Consuming a healthy diet is one of the easiest ways to help yourself recover and minimize the severity of any scarring. The sun’s ultraviolet (UV) rays are detrimental to the appearance of surgical scars. When incisions are exposed to UV rays during the healing process, they tend to darken and become more noticeable, and this damage is difficult, if not impossible, to reverse. While some surgical scars, such as those on the breasts or abdomen, are easy to conceal initially, other scars, like the ones that result from facelift surgery or blepharoplasty, are more challenging to cover. Proper planning and wardrobe choices like wide-brimmed hats, glasses, and scarves are essential to protect facial scars from the sun. Silicone strips are used to minimize and prevent the formation of scars by increasing hydration of the skin around the incision site. Patients can begin wearing these strips once their incision has healed, usually within two to three weeks after the surgery. Remember, no matter how red or noticeable a scar seems in the days, weeks, and months following your surgery, all scarring will fade with time. To set up a consultation with PREMIERE Center for Cosmetic Surgery, contact our office by calling (813) 413-7717 or by filling out our online contact form.